In a recent circular SEBI has asked to block more money as ASM a.k.a Additional Surveillance Margin for selling options and trading futures. The an Additional Surveillance Margin (ASM) shall be levied on all gross open positions on futures contracts and on short positions in options contracts. To which NSE issued the circular which you can find here. Well the only problem is margin block will increase. Worrisome for people who trade with less capital – not so much for people who have more money to deploy. But still a worry. But most importantly huge worry for traders who do not hedge their positions. If you are reading this and you trade without hedge – my sincere advice is learn hedging. 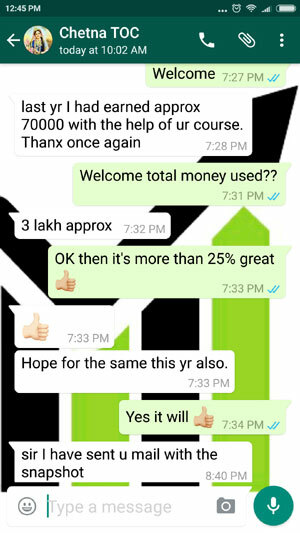 Either do my course or someone else course or research but stop trading without hedge. Exactly how much margin will increase will finally be known by 30-Nov-18. What is the current margin block? Currently, the Initial margin to trade options and futures includes SPAN and Exposure margins. 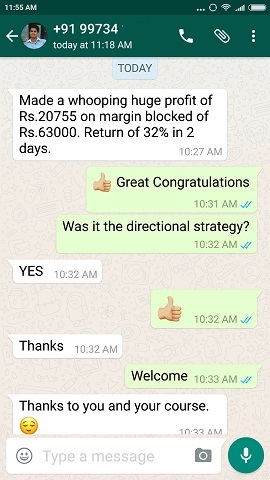 It covers the risk of around 8% movement in Index and 12.5% to 30% movement on stocks in one trading day. Due to the above circular, by November 2018, margin requirement for trading Index contracts may go up to 10% (approx 70,000) and for stocks between 17.5% to 35%. Please note that Additional Surveillance Margin (ASM) was meant to be added to the exposure margin. Note that exposure margin does not takes into account the positions that hedge each other. Which means whether you hedged your positions or not you were required to add more money as per ASM rules to sell options or trade futures. Currently traders who hedge their positions get benefit of hedged positions, so less margin is blocked. 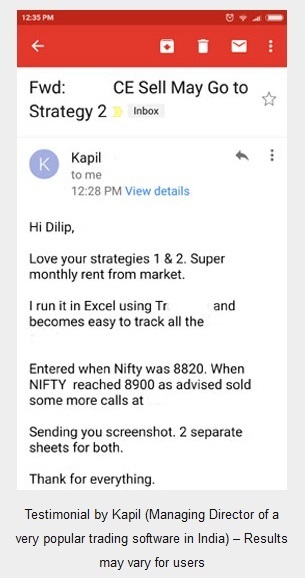 So its better to trade only index options – Nifty and Bank Nifty. Avoid trading is stock derivatives – if you want then you trade for first three weeks only – DO NOT ENTER THE LAST WEEK OF EXPIRY JUST TO AVOID MARGIN CALLS. Note that the above rules may decrease liquidity or derivative trading from India markets. Update 12-Sep-18: It looks like market makers realized their mistake and made another circular relaxing the earlier riles. This time they came up with another circular dated 12th Sep 18, which says that instead of adding the Additional Surveillance Margin as specified in the circular dated September 01, 2018 to the Exposure Margins, Price Scan Range (PSR) used for computation of Initial Margins shall be amended, in steps, to increase the coverage of risk arising out of change in underlying Index or stocks. The amended circular says that this additional increase in margin will be only on SPAN margin. This means that this additional margin will be reduced on a portfolio that hedges its trades. Which means that if you hedge your positions then you need not worry. You are not required to keep additional money to sell options or trade futures. The margin blocked to sell options / trade futures will remain almost same if you hedge your positions. Traders who trade naked or without hedge. This is a double edged sword. One they pay more to take the same risk and reward, and another their risk will increase and reward will decrease. Why? Because now they will pay more for the same trade. For example if they made 5000 on 1 lakh, now for the same profit they will make 5000 on 1 lakh 20 thousand approx. This 20k increase in margin is due to ASM rules. This effectively will reduce the return on margin blocked. However traders who hedge their position – the risk reward will be the same. Hence margins for trading futures and options selling, especially for not-hedged trades will go up in 4 phases starting September 14th, 2018 (it has already started). Traders who do not hedge must make sure to have sufficient margins for your F&O positions to cover for this increase. Any shortfall in margin will attract margin shortfall penalty and your trades may be squared off at the discretion of your broker’s Risk management (RMS) team. 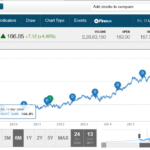 Learn to hedge and trade peacefully – be happy with small profits and low risks. DO NOT FORGET THAT FROM 1-OCT-2018 YOU WILL BE ABLE TO TRADE EQUITY FnO FROM 9.15 AM TO 11.55 PM. 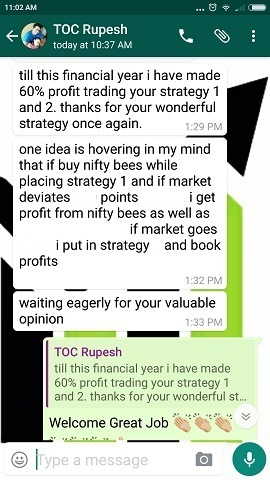 Nifty Conservative Hedging Course: Course fees is one time fees, but you can ask me questions on the strategies for one year. Bank Nifty Weekly Option Aggressive Hedged Strategies: It is more aggressive hedging for advanced traders. Fees can be paid here.